Are You Confused by the French Press? OMT! Confession: I have been a coffee drinker FOR YEARS, yet just recently had my first French-pressed cup o’joe. Because that danged French Press contraption was confusing to me. I had never seen it in action and to be honest was too danged lazy to research, cause I was happy – HAPPY, I TELL YA! – with my trusty 14-cup machine. Enter a friend who insisted on making me my first cup of French pressed coffee. 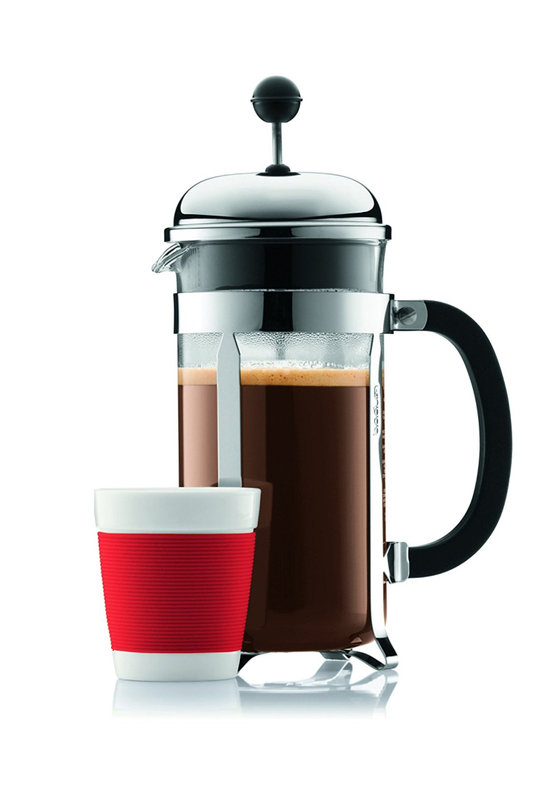 ~ FRENCH PRESS: CHAMBORD French press brews a premium cup of coffee in just 4 minutes, simply add course ground coffee, hot water and press. ~ STAINLESS STEEL: 3-part stainless steel plunger has a mesh filter that helps extract your coffee’s aromatic oils and subtle flavors instead of being absorbed by a paper filter. 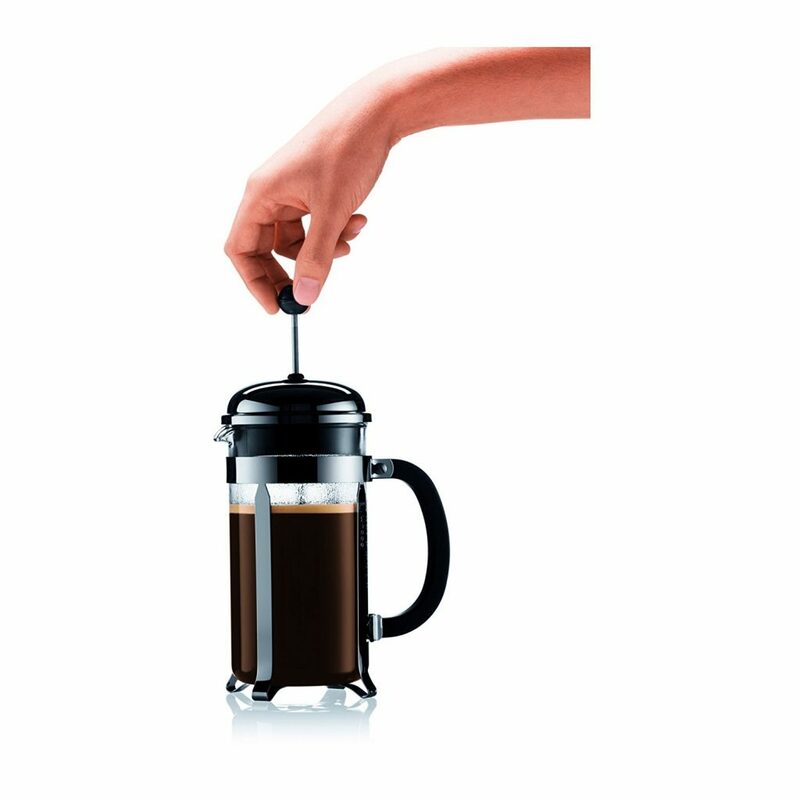 ~ DURABLE DESIGN: Coffee press features Bodum’s patented safety lid to keep contents from spilling and is dishwasher safe for easy cleaning. ~ MAXIMUM FLAVOR: Pressed coffee extracts the perfect amount of essentials oils and acids from the coffee bean for maximum flavor; the preferred method for brewing for coffee enthusiasts everywhere. When Bodum took over a small clarinet factory in Normandy in 1982, it was not because of the fine orchestra clarinets they were producing but because of a relatively unknown coffee maker called the Chambord which they produced as well. The reason the French press coffee maker has become one of the most popular coffeemakers in the world is pure and simple, taste. The materials (glass and stainless steel) are completely taste-free so nothing comes between your ground coffee beans. This is exactly the reason why coffee tasters use this method to determine the quality of coffee beans. No paper filter not only means no waste, but that the coffee bean’s essential oils go directly to your cup, delivering the flavor that is-lost on paper filters. Simplicity works best and is the reason why the Chambord’s design has not changed a bit from its original drawing. Step 1: Place coffee in pot. Step 2: Add hot water. Stir and place plunger on top of pot. Wait 4 minutes to brew. Step 4: Enjoy a hot and rich cup of coffee – maybe the best cup you’ve ever had. #1: My box read: 8 Cup Coffee Maker. Americans like deep cups, actual measured cups. What I should have paid more attention to was that Bodum is using 4 ounces (HAHAHAHA!) as a cup. #2: You need to use a course grind for a French Press or you’ll clog the filter and start your day with a little cussin’. I use my 14-cup during the week, and savor the French-pressed cups on the weekend. I always just poured all the hot water in at once. I’m going to try it this way! Our son had a french press and used it every day. When he moved he left it but I have never had the nerve to use it. I will have to give it a try. If you’re a regular coffee drinker – try it! I think you’ll be surprised at how much you like it! I, too, pour in all the water (just off the boil) at once, stirring with the handle of my wooden spoon as I pour. 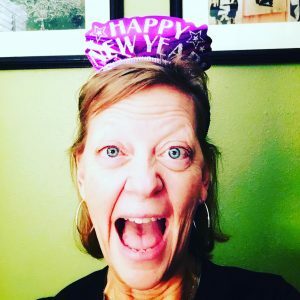 I’ll have to give this “30-seconds” thing a try…..Thanks, Patti!